After constant debate, I decided that euthanizing Daisy was the only humane decision I could make. I know that mentally, she was not ready, nor was I, which is where I struggled. But I could not do anything to keep her body in sync with her mind, and it was causing her to suffer. So now there is none. Within three months, I’ve said goodbye to both my dog and my cat. I came home yesterday and cleaned. Her litter boxes, her food bowls. Today I washed my sheets and finally washed our bathroom floor mats- after nearly a year in the laundry. She had started defecating on them, so I could no longer put them out. This morning, the sound of a cat howling outside my window woke me up around 6am. This is not normal, but I refused to get out of bed and look. No. I’m not taking in anything more right now. My son and I finally moved the 200# broken turtle tank to the garage, and as expected, it wreaked havoc on my back. I ended up sleeping for about four hours later in the afternoon. Throughout it all, I kept waking up to the feel of a cat jumping on my bed. My old cat, Sigfried. He had the mass to make that small disturbance. Daisy did not. The only time I felt her on the bed was when she started to lick my forehead. I was exhausted, yet I think in control of my capacities. It felt so real, I forced myself awake each time. What if it is a cat? Like, the boys found the one howling outside the window from this morning and brought him inside? What if it isn’t a cat, and I left the back door open, and someone’s on my bed? I set out the bathroom floor mats when I got up. The fuzzy thick ones that feel so good on your feet, and it was not a good thing. 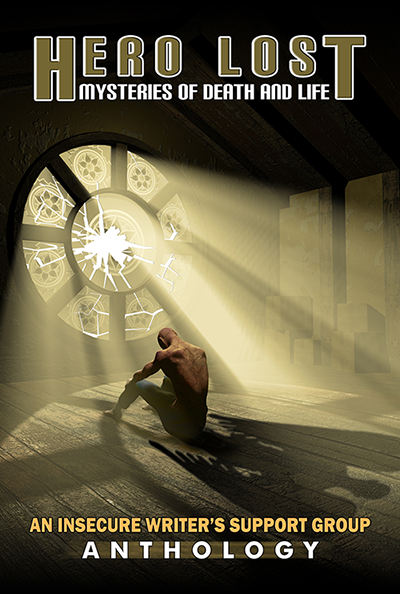 I stared at them, turned away. I made my bed, and after some thought, threw my pillow in the center of the bed, as she’s no longer taking up the right side. And that does not feel like a good thing. I stared, and turned away. My clean house. No accidents to clean up after. And it does not feel like a good thing. Yesterday was rough. All I felt was loss, and flipping through my photo albums, my sense of loss was amplified by the amount of pets that have come through my home and are no longer with me, and it struck me as a failure. But today was better. My stepdaughter said that all those pets and animals and fosters remain a positive aspect of her childhood, and that helped enormously. So I thought of Daisy’s goofiness. Her strange, unique meow. How she liked to bite my ex-husband every morning way back then. How I found her, sitting outside her former person’s house, patiently waiting for someone to claim her again. How she always liked the warmest part of the house (on top of the lizards’ cage in our Colorado house, under the covers with my son at my mom’s house, or on the heat vents at our current house), how she still zipped around the house in a fit of play until last year. How she detested me every time I brought home a new litter of kittens. But then how instantaneously she forgave me when they went away again. How she has slept by my head for most of our 16 years together. How she use to bite me if my hand came too close during the night. Brat. Her former name was Sassy, and that she was. She was a good thing. Posted in Pets and Vets.Tagged cat, death, pet, pets, remembering, saying goodbye. I’ve said so many farewells to my friends with fur and beautiful, understanding eyes that I’ve lost count. It’s never easy, so I understand the feeling. Hope that you’re feeling better by now, but they never vanish from your heart. *hugs* It’s so very hard to lose furbabies. You have my sympathies. I am so sorry for the loss of Daisy. I still mourn all my furry babies too that have passed. They all were so full of love and I find comfort thinking they were there for me during specific times when I really needed them. Not a wordpress.com member? That's ok! You can still receive notifications. Just enter your email address to follow along. 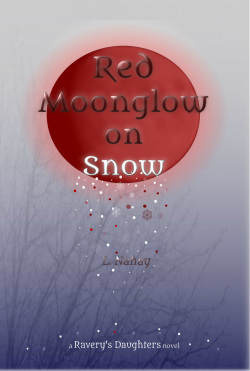 Red Moonglow on Snow, in both print and ebook formats! Do not meddle in the affairs of writers, for we have voracious imaginations that are rife with deadly carnivorous creatures waiting to be released for a snack on plagiarists and other forms of thieves. All rights reserved.